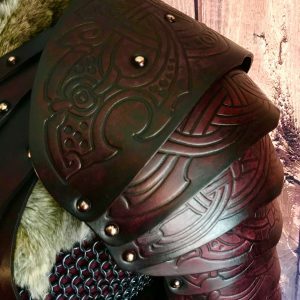 The Valsgarde Leather Body Armour is one of the most unique designs to be offered by Black Raven Armoury , this leather armour has been professionally dyed and built for you by ourselves. Created & designed by Alex Agricola, the whole set is made of premium grade top grain 3.2-3.5 mm Veg Tanned leather. 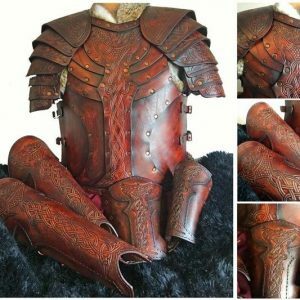 Designed by Alex Agricola, the Valsgarde Leather Body Armour? is a tough leather chest plate with an attractive embossed centerpiece. 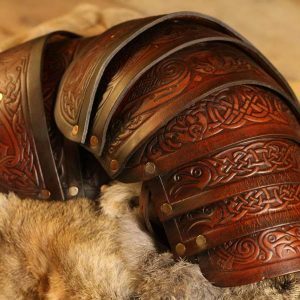 It’s is suitable for anyone searching for a real leather armour chest piece and can be complimented with any of our Greaves, Vambraces and pauldrons to create a complete suit of leather armour. 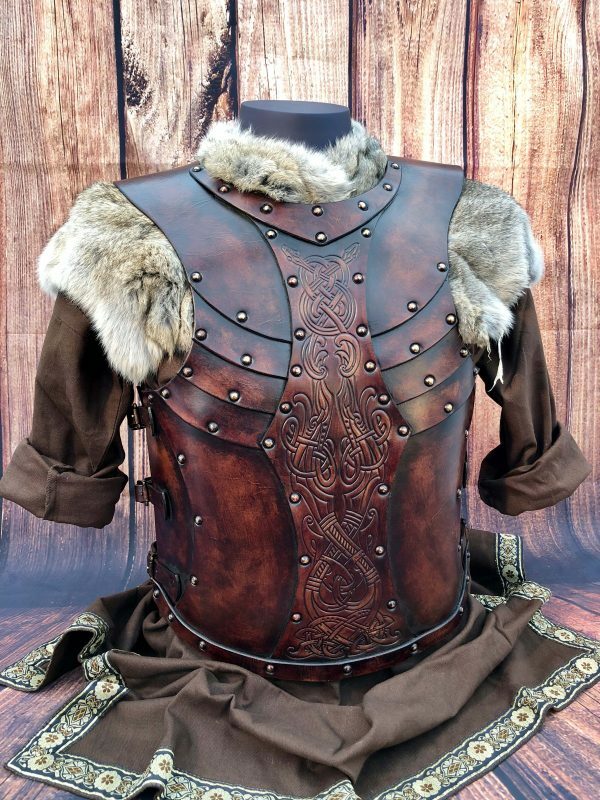 The Valsgarde Leather Body Armour is one of our newest designs. It is dyed and built for you on site by our master craftsmen. The body is formed, as you would expect, from premium grade top grain 3.2-3.5 mm Veg Tanned leather.